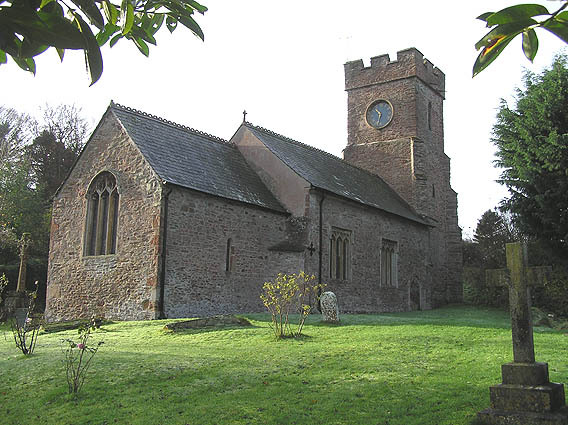 The parish of Monksilver is a small community (population currently c.97, including a small number of children c.12 aged between early years to teens). The residents are mainly retired, with a few younger families and two working farms. There are five ‘second’ homes and holiday cottages together with a small number of council houses. The village (including the church building) is largely within the Exmoor National Park and the recently created ‘Coleridge Way’ walk, goes through the churchyard into the National Park, in effect forming a ‘gateway’ to the National Park. The village has no shop although it does possess a well-known pub ‘The Notley Arms’ which draws people from a wide area. There is a very good community hall – the Elworthy, Monksilver, Nettlecombe Community Hall, built in 1993 with very good acoustics and daylight for exhibition purposes where an increasing number of activities take place – short-mat bowls, pilates, art classes, popular monthly lunch club, history society, gardening society etc. Public transport is limited to two days a week which goes to Taunton on Wednesdays and Saturdays. The church building has C12 origins in its structure with later additions. The building consists of chancel, main nave, south aisle and vestry. It has five bells but no resident ringers. Services of traditional pattern are regularly held on every Sunday morning with a few exceptions. Church attendance fluctuates around small numbers (10 average) and is mainly composed of older (60+) age group regular members.